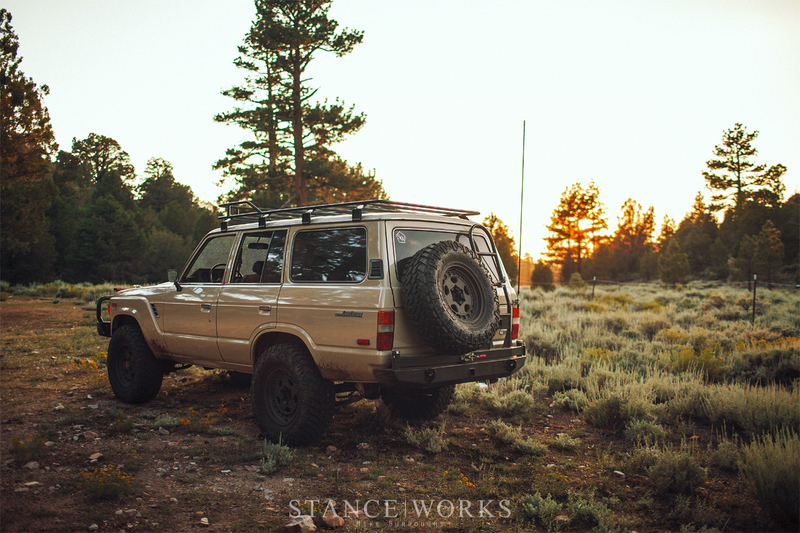 It's been almost six months since I purchased my FJ60, following an accident that rendered my FJ62 Land Cruiser a total loss. 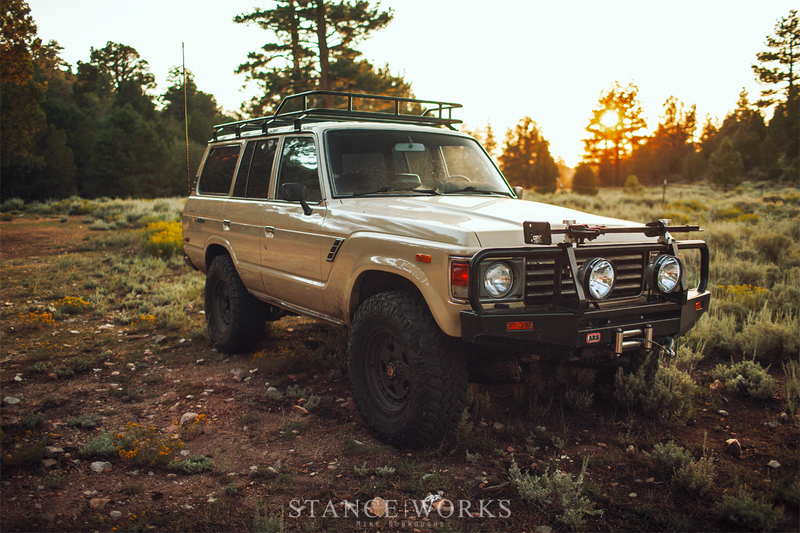 I purchased this particular FJ60, bone stock, for two reasons: it's completely rust free, and it is, if you ask me, the best color the chassis ever came in. 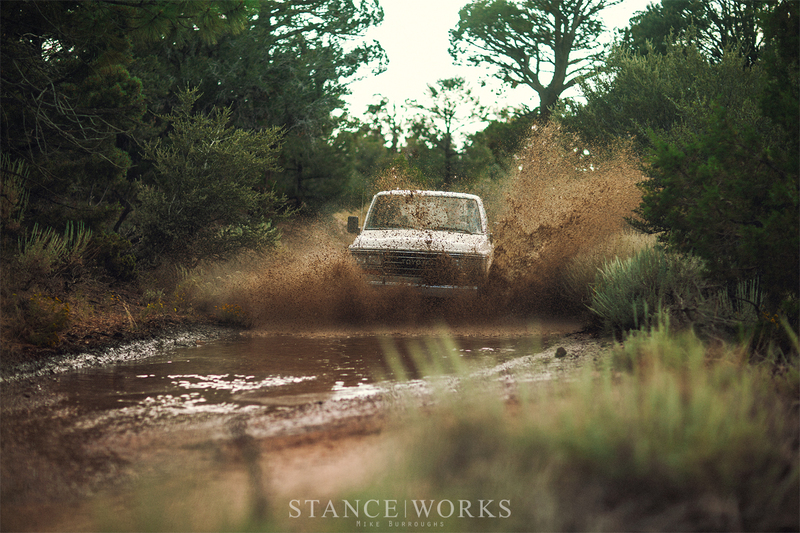 After all, there's a reason new Tacomas are offered in a similar hue. 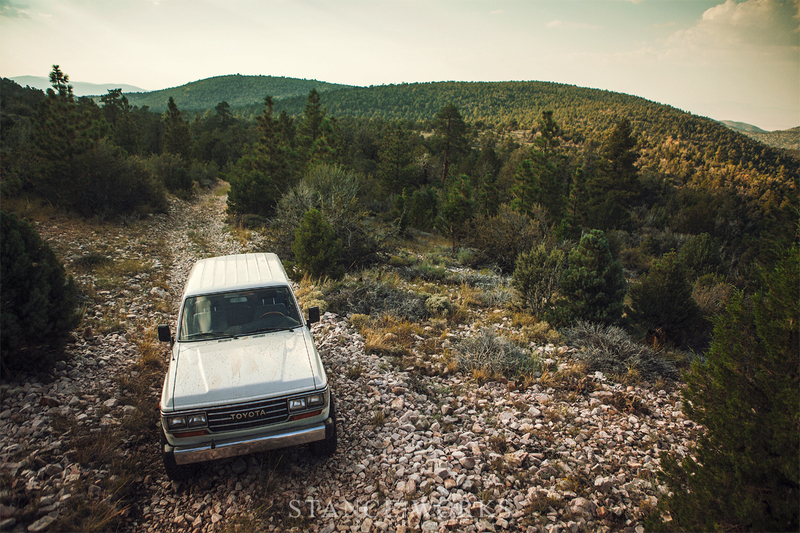 The past six months have been a long road with a number of hurdles, as I worked to transform the truck from an all-original but non-running example into the 6.0 LS-powered V8 trail truck it is today. And after a few false starts in the past weeks, this last weekend marked the first successful outing, and hopefully the first of countless more. 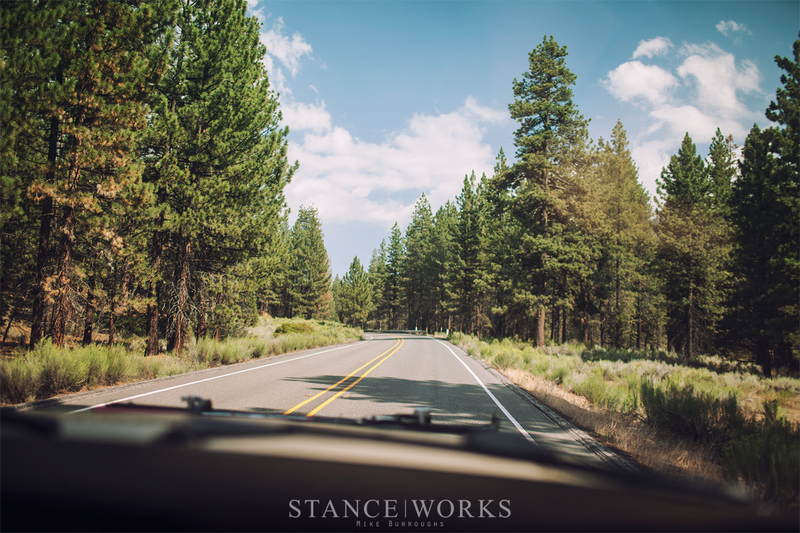 The journey itself, of course, began at the StanceWorks HQ here in Costa Mesa, but the drive to Big Bear isn't necessarily an exciting one, aside from the uphill, 7,000-foot climb that is sure to stress any cooling system - and that was very much part of the point for the weekend's trip. 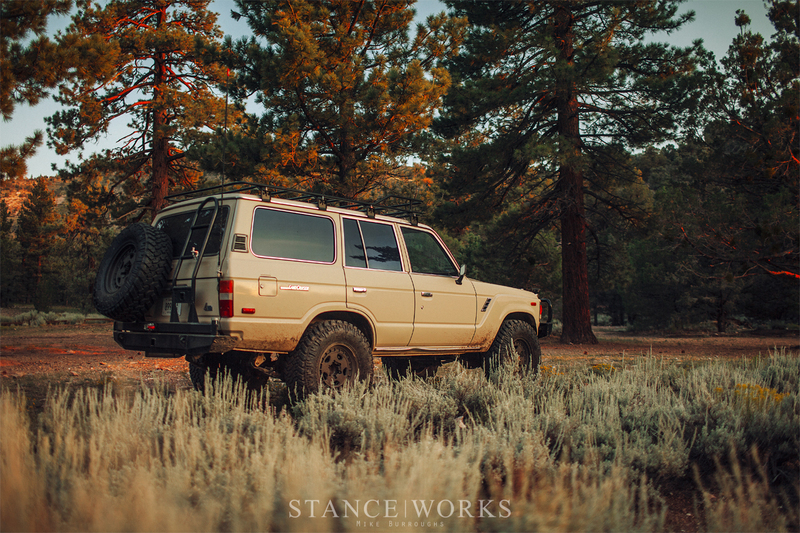 I've had the FJ60 running for going on a couple of months now, but I've hit my fair share of setbacks, working out all of the kinks that come with an engine swap. The final hurdle - one that caused me to miss a months-in-the-making trip to Colorado, was an upset cooling system that simply couldn't keep up. 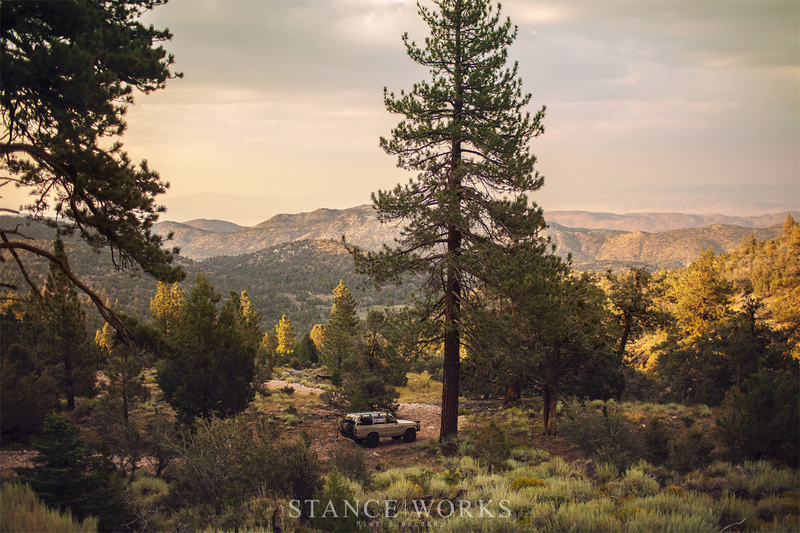 With the latest round of fixes though, I felt that the climb to Big Bear following a stretch through the Inland Empire was a perfect way to see if the truck is up to the task. That, and the fact that the weekend's high temp was 70 degrees, with a low of 49 at night. The drive there was, of course, a beautiful one that meanders up the mountainside. 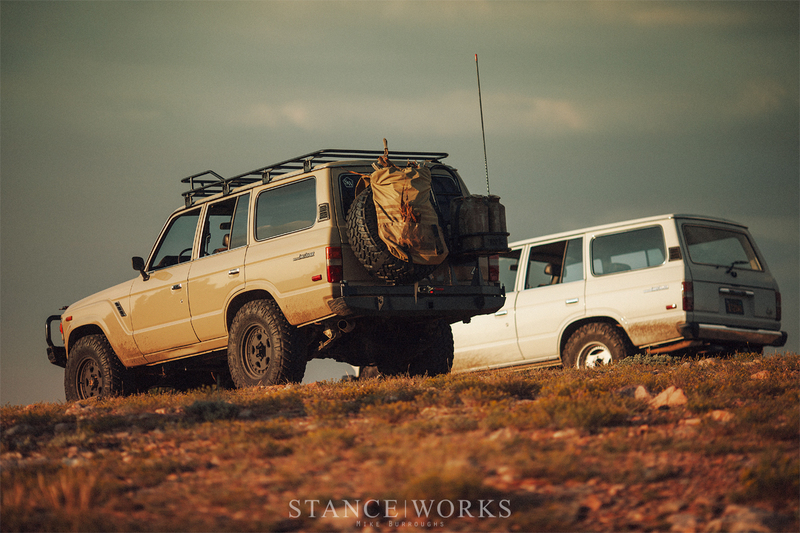 Jeremy Whittle and his FJ62 joined me for a day on the trails, and although our trucks made vastly different paces up the hill - his truck, still 3FE-powered - we met not far from the trail head. 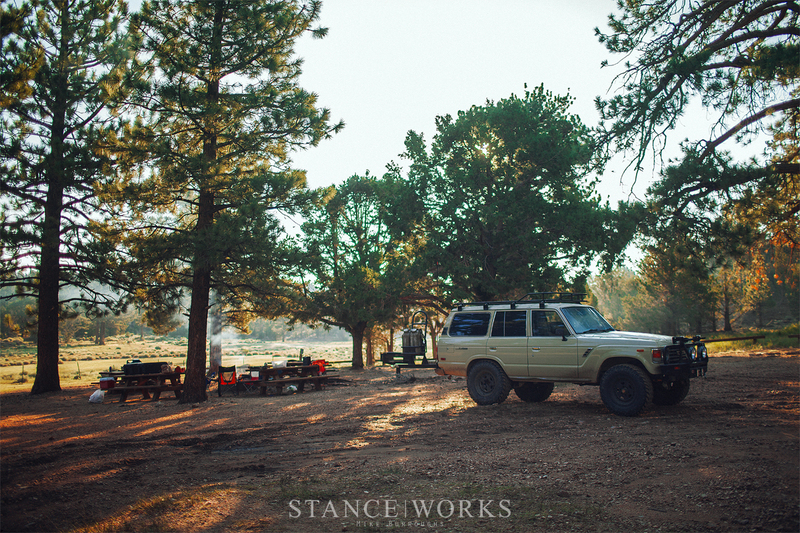 With the Juniper Springs campground reserved and all to ourselves, we made a few last-minute checks on the trucks before hitting the trail to camp. It took no time before the typical comments arose: "I can't believe this is just two hours from home." In Jeremy's truck, his girlfriend Alie, and our friend Josh, rode along. 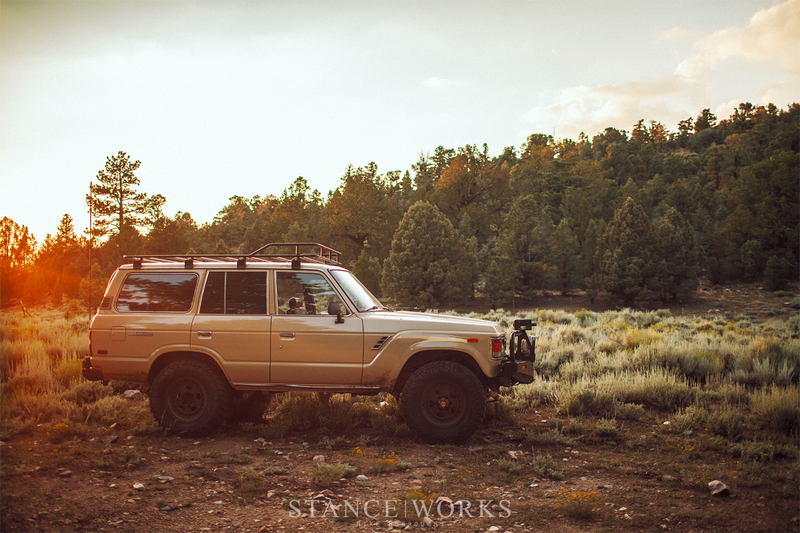 In my FJ60, it was the whole family: my girlfriend Emily and our German Shepherd, Chloe. With rabbits to chase and bugs to chop at, Chloe was clearly enjoying the trip just as much as we were, only minutes in. The trail to camp was relatively uneventful: a half hour, give or take, from the nearest paved road. Surprisingly, parts of the trail held standing water, but overall, it was a simple climb. Camp itself sat around 7,500ft. 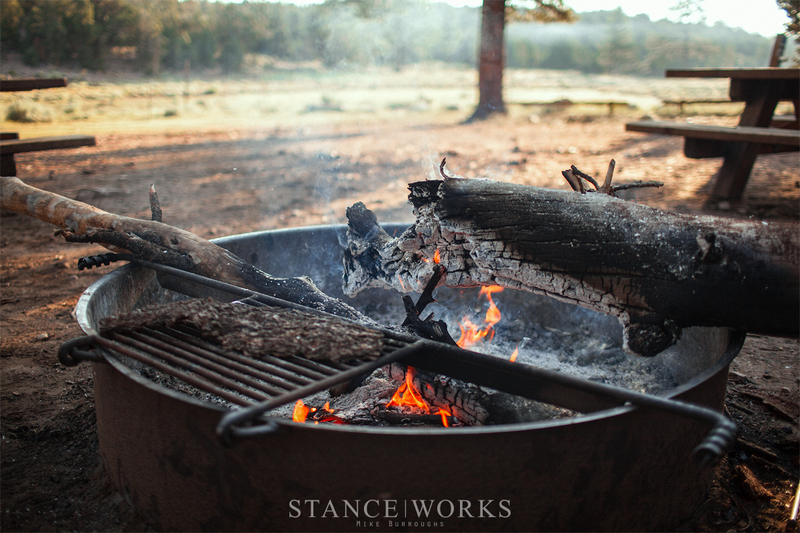 Once at camp, we unloaded the trucks. 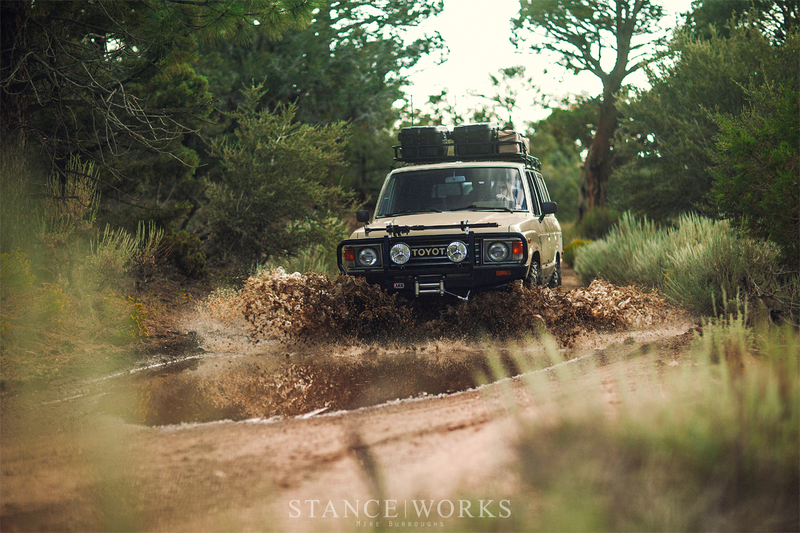 Jeremy gave the FJ62 a quick coolant bleed following all of the climbing, to ensure everything was in order. The LS in my own Cruiser was as happy as ever. The abundance of torque made quick work of everything I had asked of it so far. 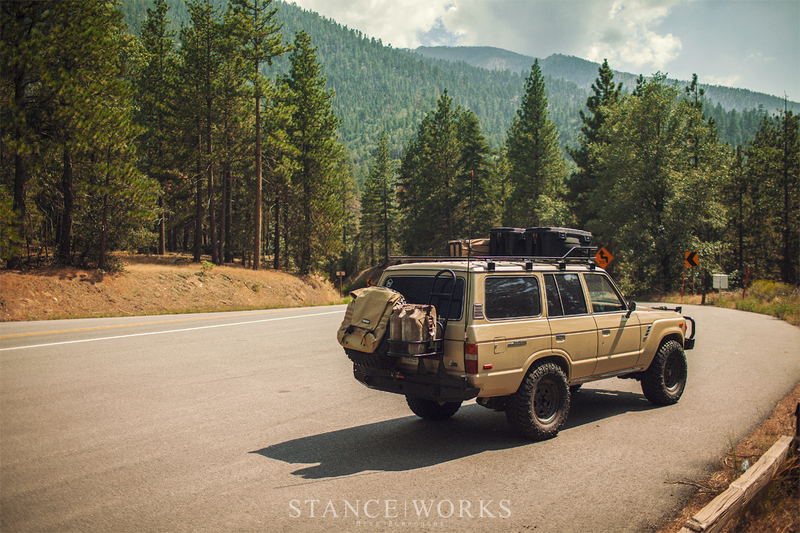 The roof rack I built made carrying in everyone's gear a breeze, and allowed us to bring everything we needed, and then some. 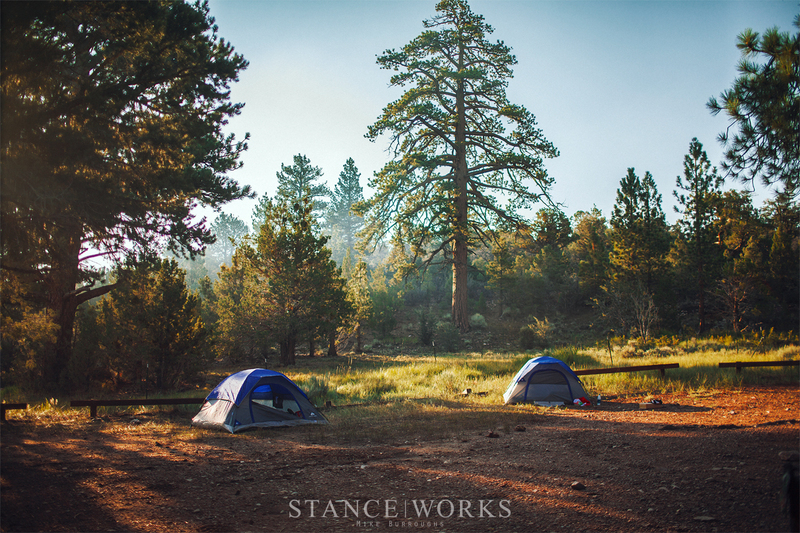 Camp was comfortable, to say the least. 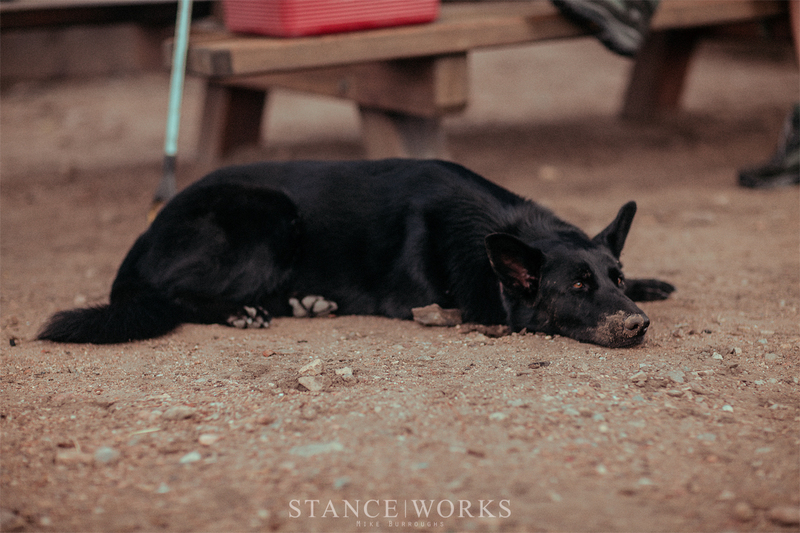 Chloe found a good spot in the dirt to park herself while we set up, but not without rooting around in the dirt a bit first. With a few hours of light left, and the trucks emptied, we decided to hit the trail - in our case, an unmarked one that we eventually established links to other trails nearby. It was a step up in challenge from our trail into camp; a loose bed of rocks established a path up the hillside, thin in spots but entirely navigable. 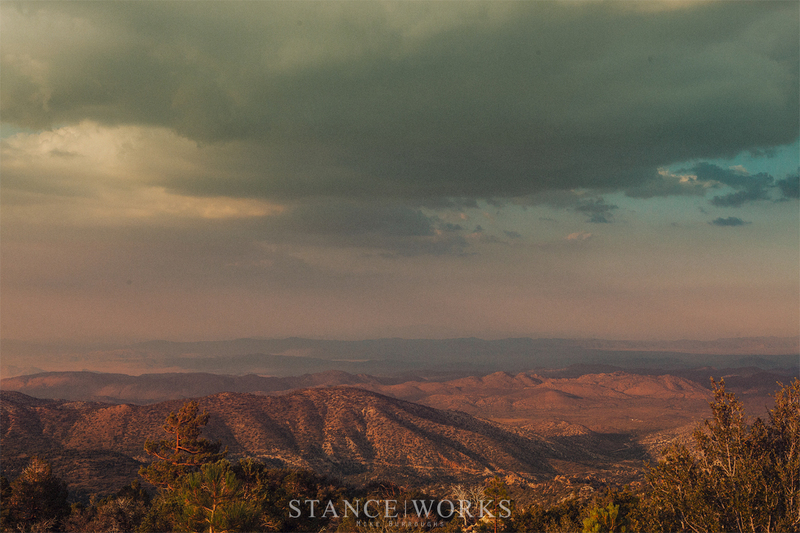 We worked our way up, eager to see the view that potentially awaited us. 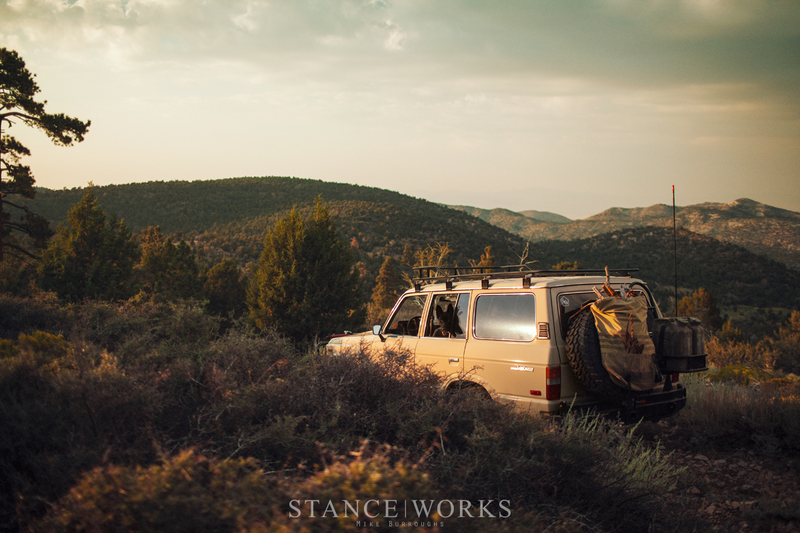 In a clearing, we took some time to admire the scene, unsure of what was still ahead on the trail. 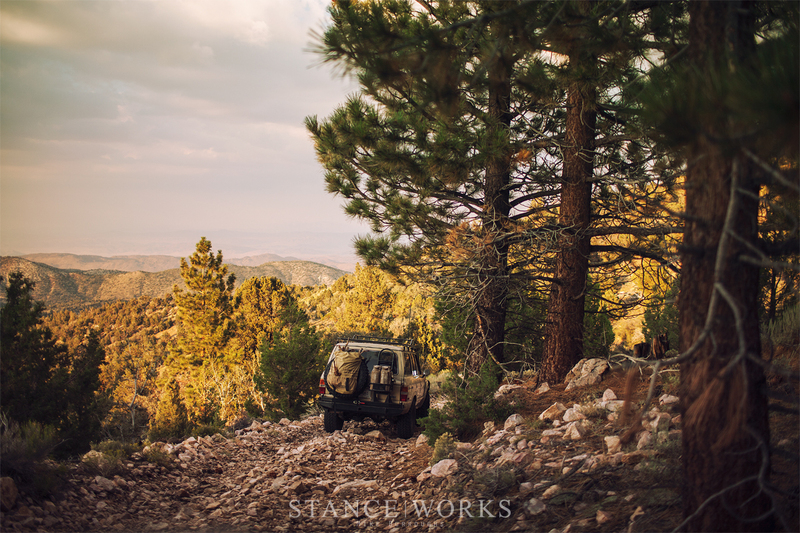 We wondered how often the trail was used - not another truck was in sight as we continued away from Big Bear. Eventually though, the path yielded exciting fruits for our labor. 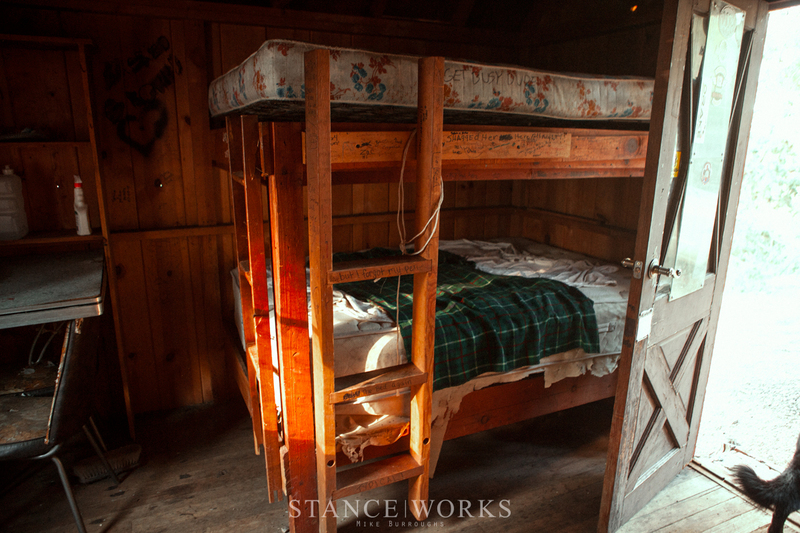 We eventually stumbled upon a cabin that had clearly seen better days. We're unsure of when it was built, with scribblings on the wall dating back as far as 32 years ago, but we assume it had been around a while before people began their scrawlings. We also wondered how it had been built; hauling the materials up the mountainside to build it was, no question, a serious endeavor. Inside, it was largely dilapidated. A few supplies, like condiments, old water, and a partial first-aid kit gave some semblance of use, but the most recent expiration dates were years old. 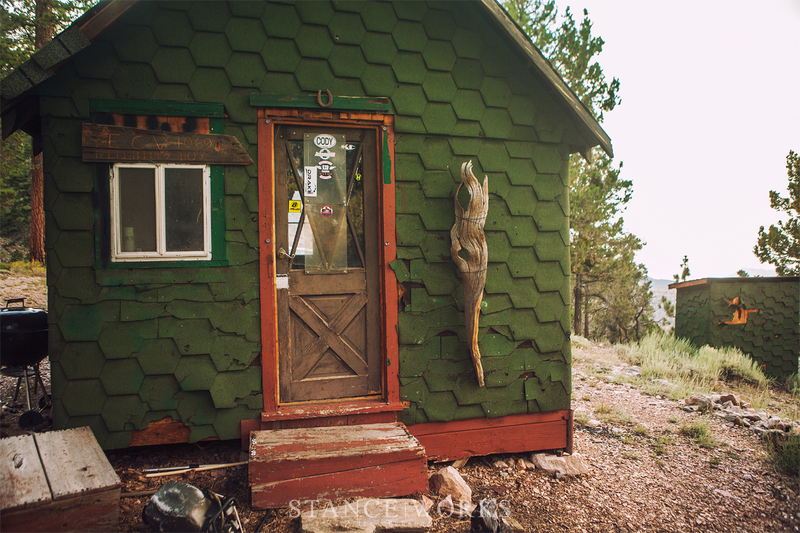 Writings on the wall ranged from lovely notes of family trips and efforts to care for the cabin, while others delved into depravity and profanity. It's not a place I'd be quick to stay, but it was a wonderful find nevertheless. A few guest books sat on the table. We left our mark on the only empty page we could find, and enjoyed the setting and view. We were now somewhere around 8,000 ft.
We continued up the trial a bit more, eventually settling in a clearing atop a mountain peak. 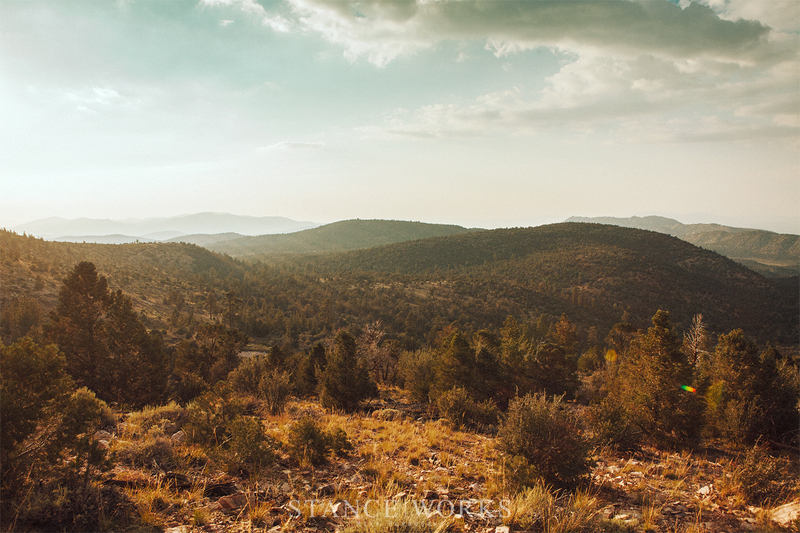 8,200ft on the altimeter put us a good bit above the town of big bear, and the view was a welcome reward for the drive. In one direction was Big Bear Lake. In the other, the Mojave desert, and we could see for what seemed like a million miles. 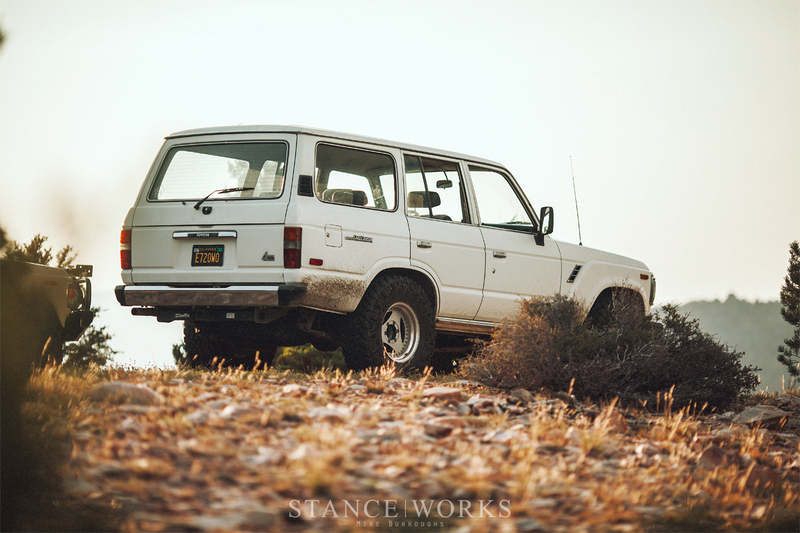 We enjoyed the setting sun, and of course, I couldn't help but snap some photos of the Land Cruisers at the peak. 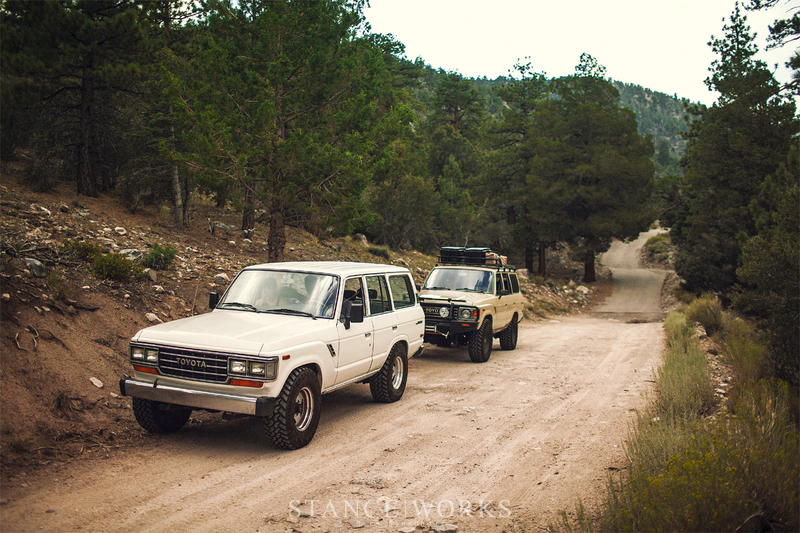 Both trucks made the climb with little effort - the V8 gave me more than enough torque to make the climb in 2WD, and despite a short bout in 4-LO, the FJ62 hung right on my bumper. 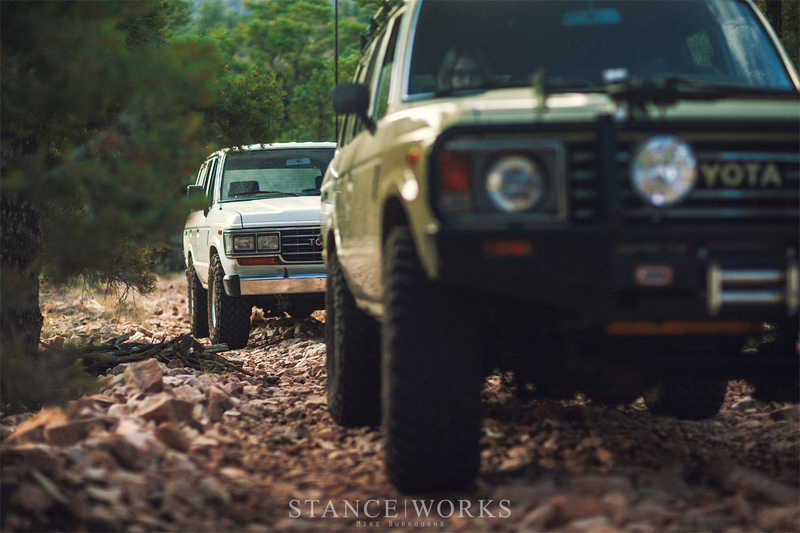 Both trucks are equipped with Nitto's Trail Grappler: 33" tires on Jeremy's white 62, and 34s on mine. 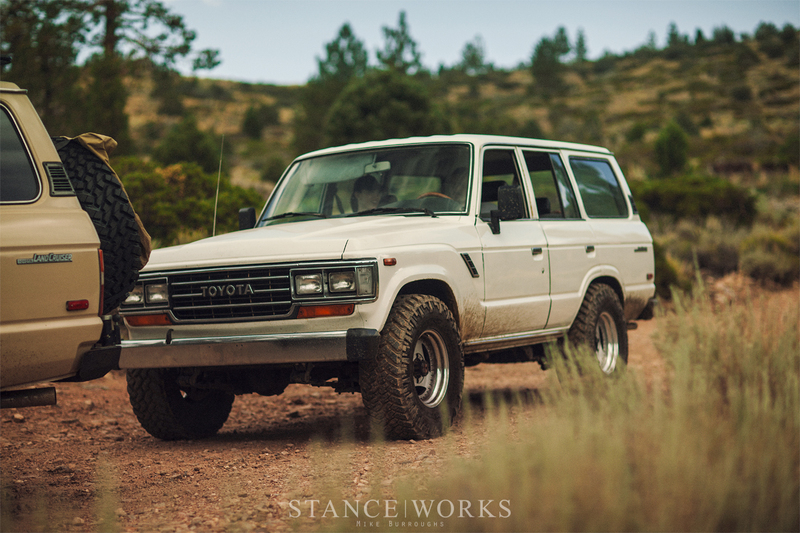 Having had so much luck with them on my own FJ62, and having sold the wheel and tire setup to Jeremy last year, I was quick to opt for them once more. 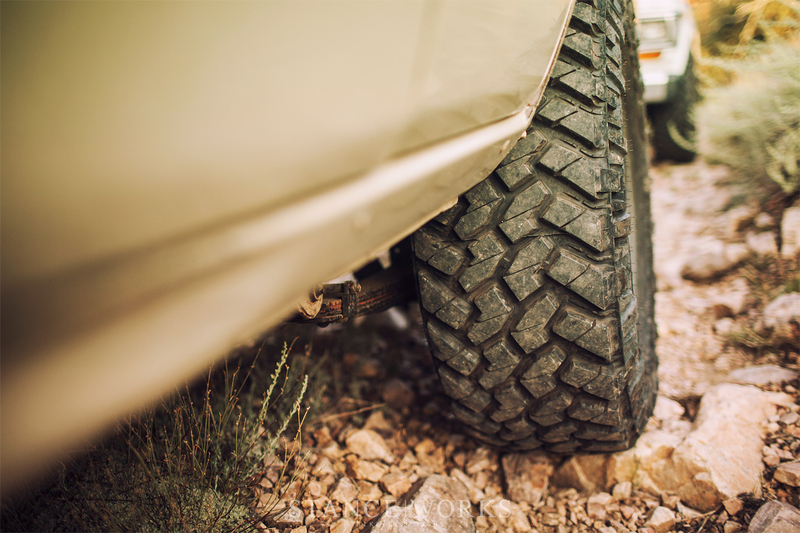 Their traction is incredible, with tread blocks rolling over the sidewalls of the tire, moving limits of the truck to drivelines and differential setups instead of grip, where it counts. Needless to say, they make the trucks look great too. With the sun capping the mountains, trees, and the tallest blades of grass, we made an effort to get back to camp before we lost our available light. We snaked our way back down, putting our brakes and tires to the test once more, trusting them not to let go underneath us in the steeper sections. Careening off the trail wasn't in the cards. 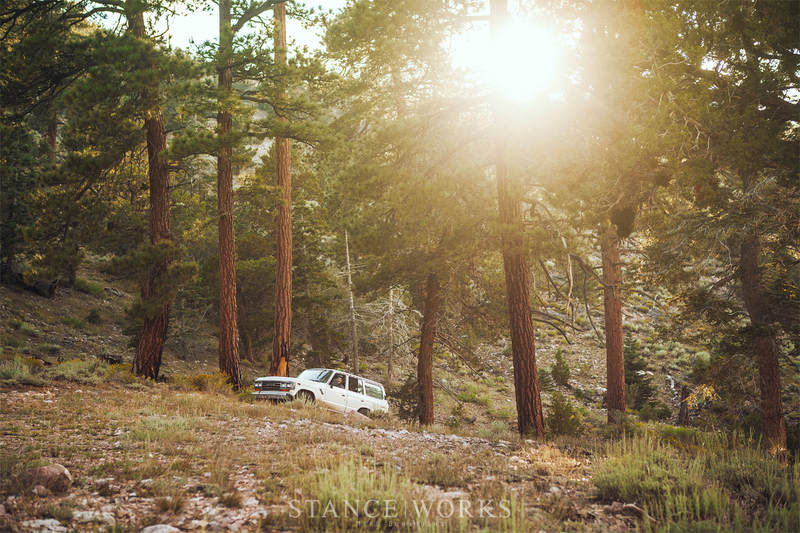 Once back at camp, I selfishly took the chance to snap some photos of my truck with the setting sun. Having been so hard at work to finish it, it was my first chance to admire it. 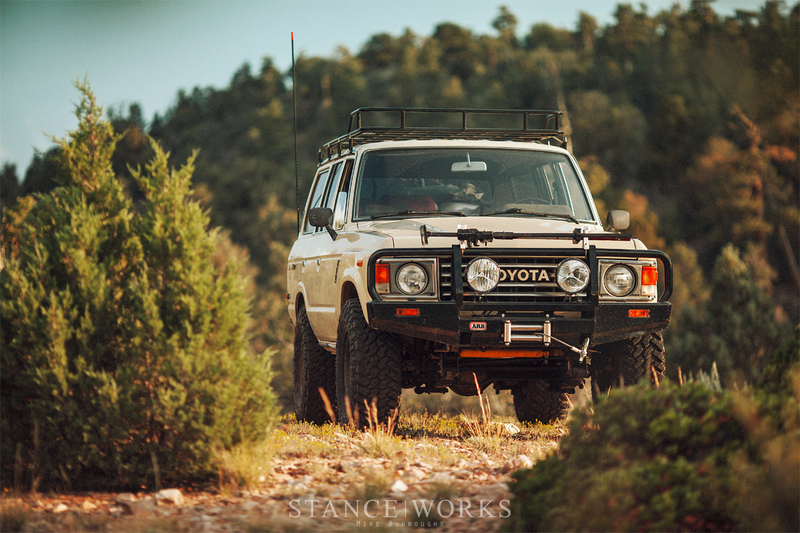 The ARB front bumper, pulled from my old FJ62, looked right at home, finishing off the "face" of the truck. The IPF lights play well with the round headlamps, and throw an enormous amount of light when fired up. One of the parts I'm most excited about on the truck is the wheels. 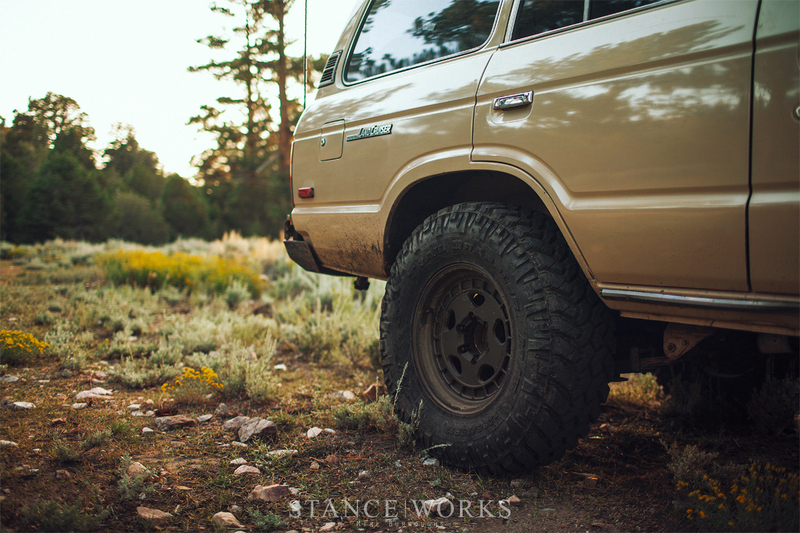 The Trail Grapplers wrap a set of forged Fifteen52 Turbomac HDs finished in a textured bronze. After dreaming for what seemed like an eon, the wheels were finally delivered, and suit the truck perfectly for what I had in mind. Measuring out to 17x8 et+10, they fit perfectly too. The stepped lip and small center keep the 17s from feeling too large, aesthetically, making for a wheel-and-tire package I've been anticipating for years. 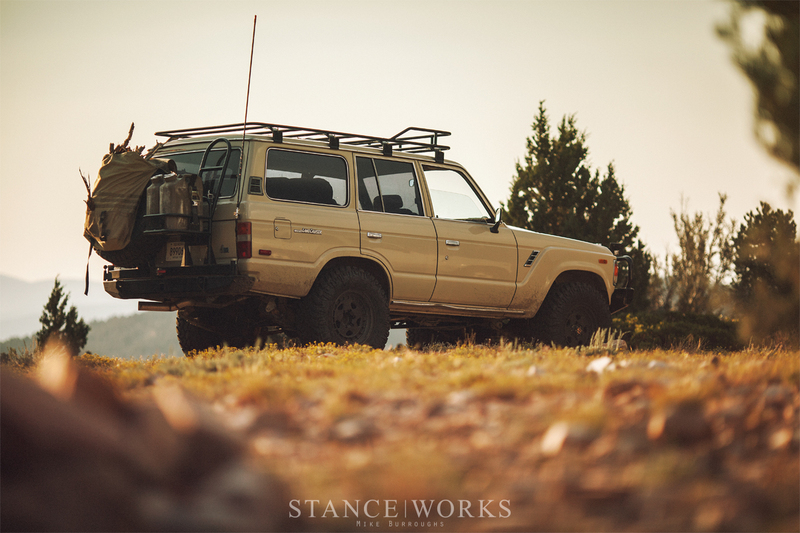 At the back of the truck, I mounted the rear bumper from my FJ62 as well, sporting a matching spare Fifteen52. 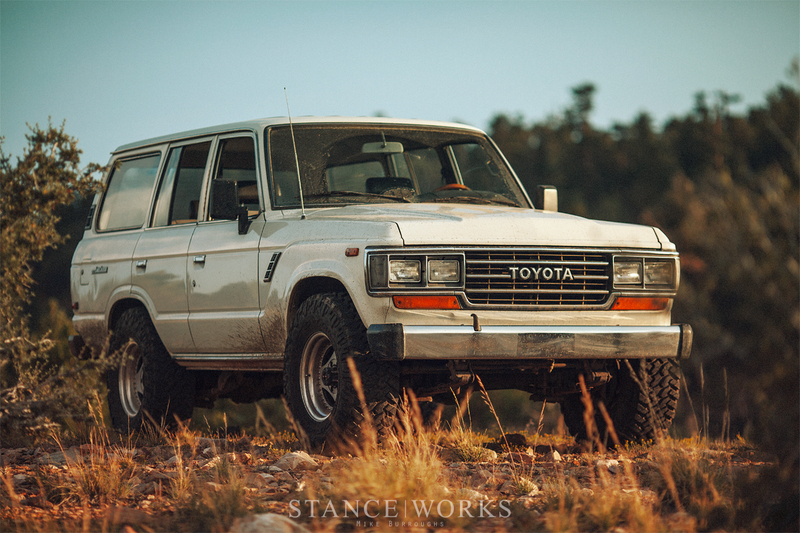 With as happy as I was with the Old Man Emu lift on my FJ62, it was an obvious choice for the FJ60 as well. 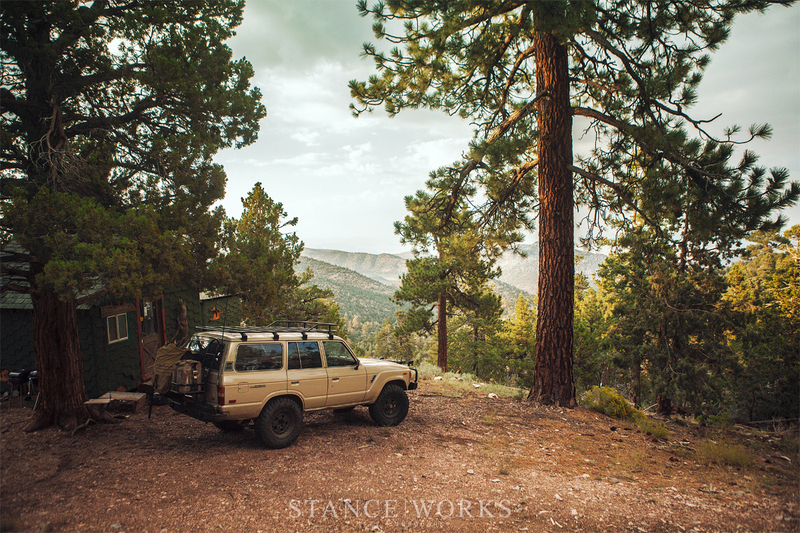 The OME lift gives the truck the height needed to fit the wheel and tire package, and gives it the clearance to tackle the types of trails I'm after, too. It also rides well, needless to say. 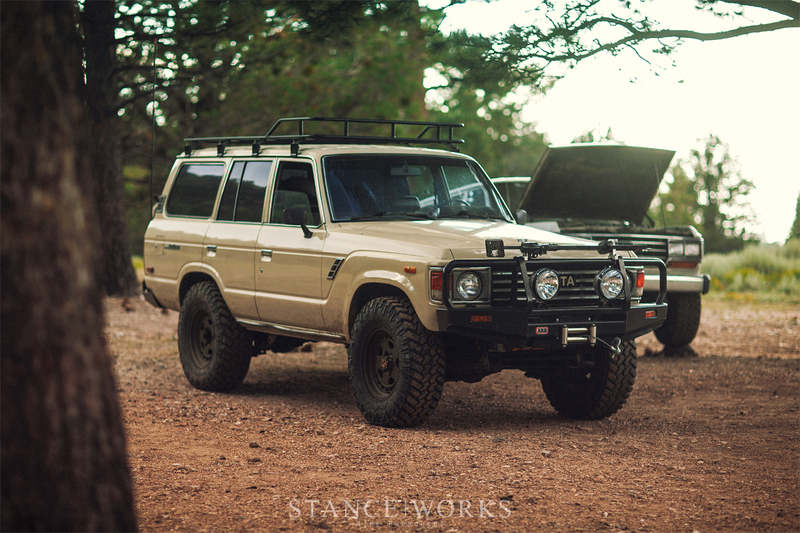 There's still more on the to-do list, of course, but the truck is really coming along - it's everything I had wanted from my FJ62, and then some. While Josh set up his tent, I set up camp for Emily, Chloe, and I in the truck. 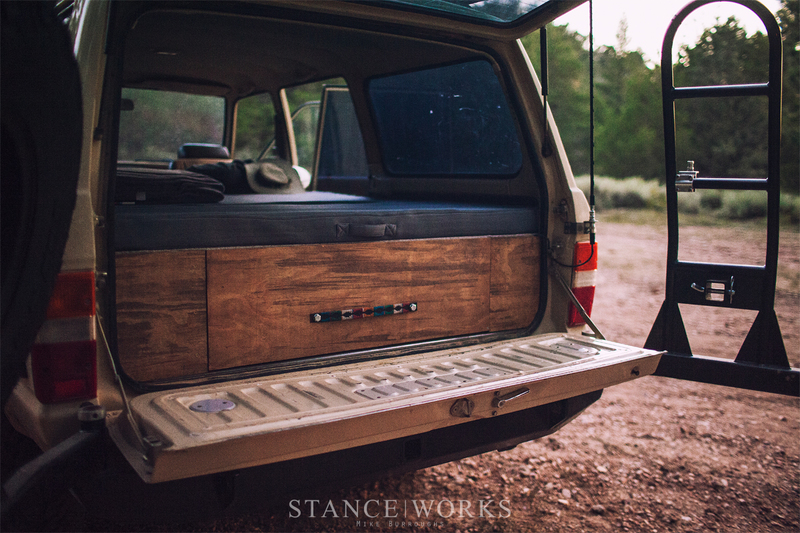 Over the past couple of weeks, I worked with a friend to build a foldable sleeping platform/storage system. 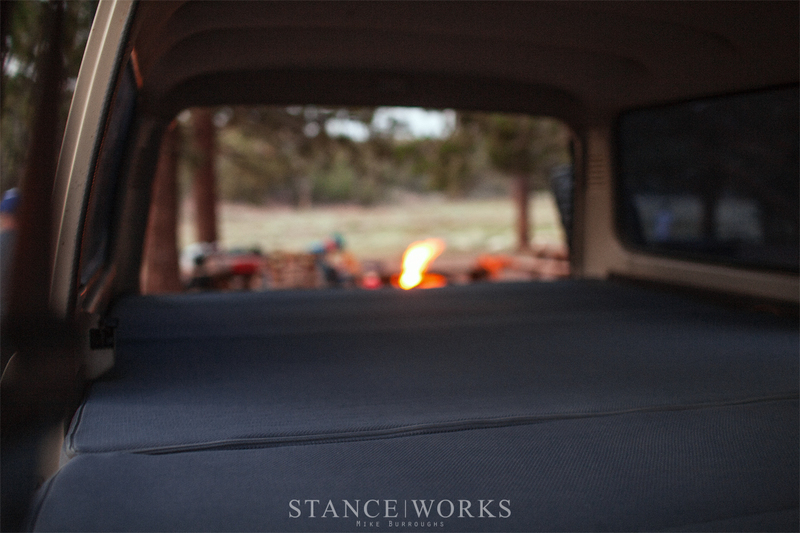 Topped with a 3" memory foam mattress, it made for the best night of sleep I've ever had while camping. 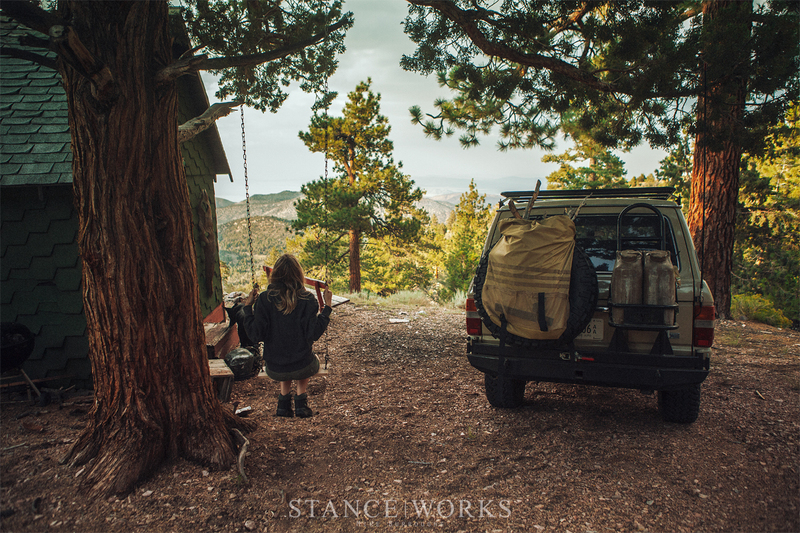 Underneath, in the drawer and storage compartments, I keep a slew of recovery and camping gear, which made access and setting up camp a breeze. As the sun disappeared, I put away the camera and enjoyed time with friends. I made a jaunt back to the trailhead to pick up Cory and his brother Isaac, both joining us for the night. 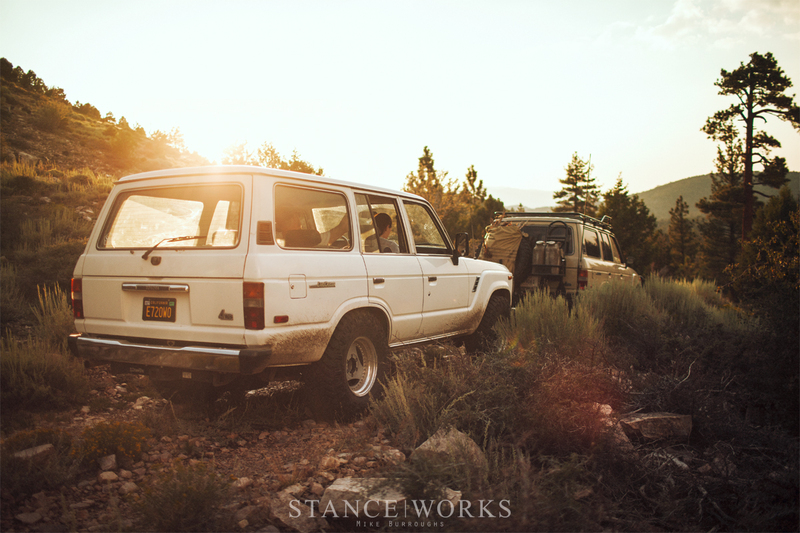 Shortly after, Jeremy, Alie, and the white FJ62 made their way home, leaving us to settle in and enjoy the cool night ahead. It was just 6:30 when I woke up, the sun high in the sky already. 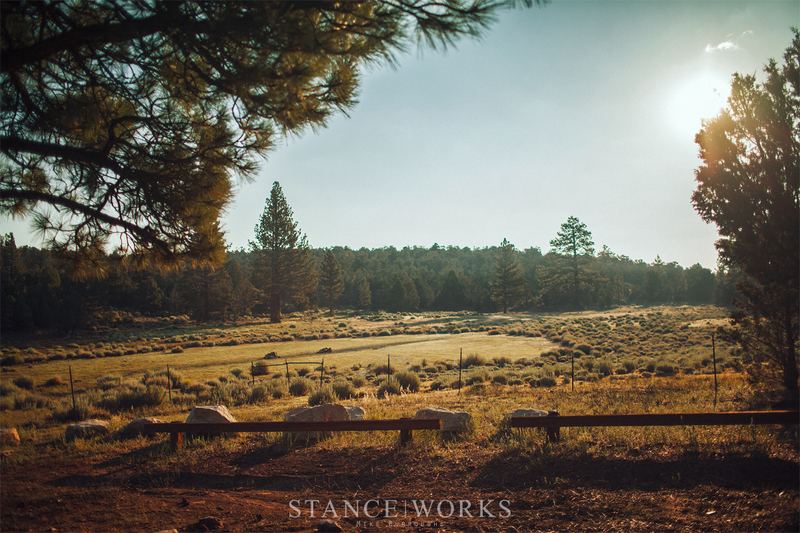 A faint morning fog had rolled into our clearing, making for an incredible view to wake up to. Josh re-ignited the fire we had built the night before, and I pulled out the fixing for a breakfast of chocolate chip pancakes and hot sausage patties. 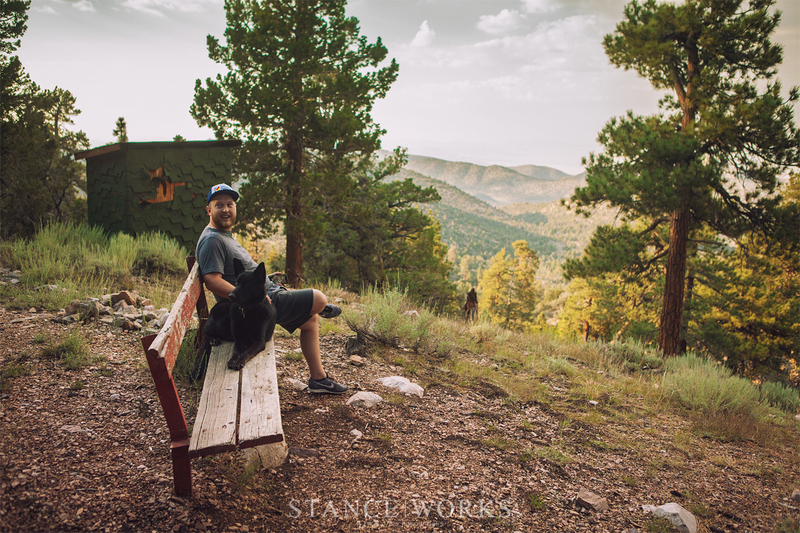 We spent the morning relaxing, followed by a hike up a nearby hill to enjoy more views. 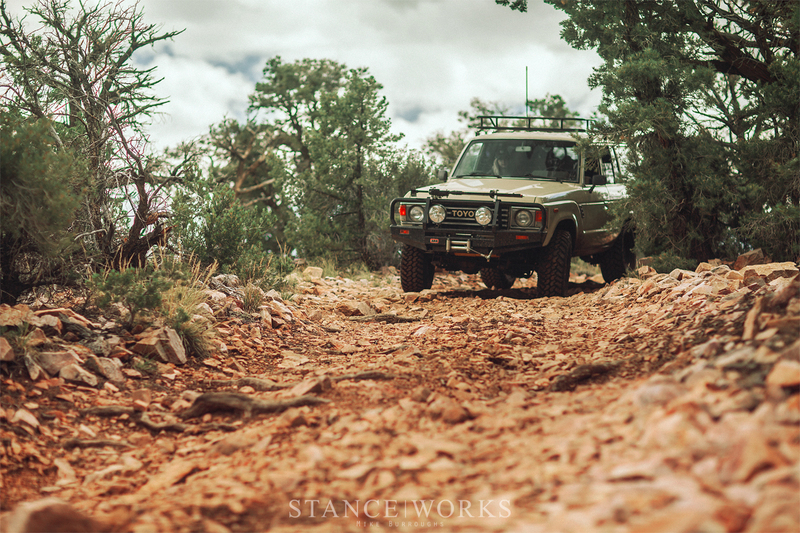 We did a bit more trail driving before packing up. Way too quickly, the weekend was already coming to a close - and Game of Thrones was waiting for us at home. 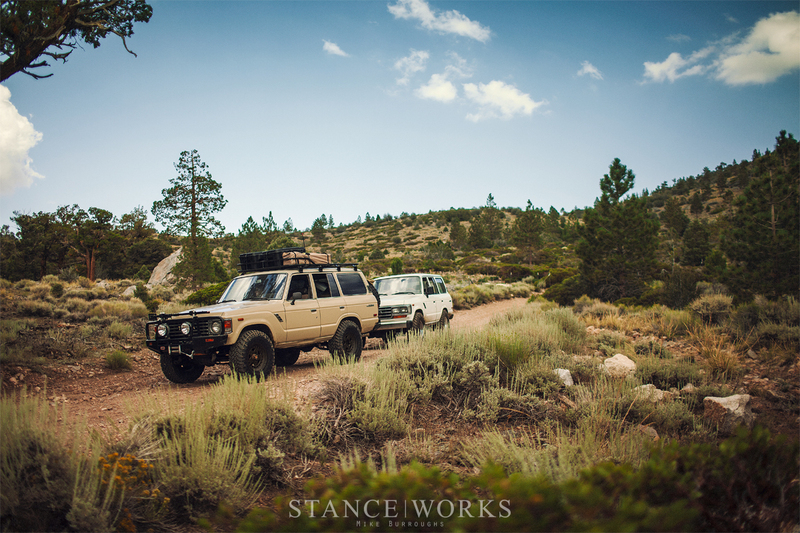 Although the trip was a short one, it served an important purpose: it proved the FJ60 is ready for action, and I'm finally... finally back in a truck of my own. 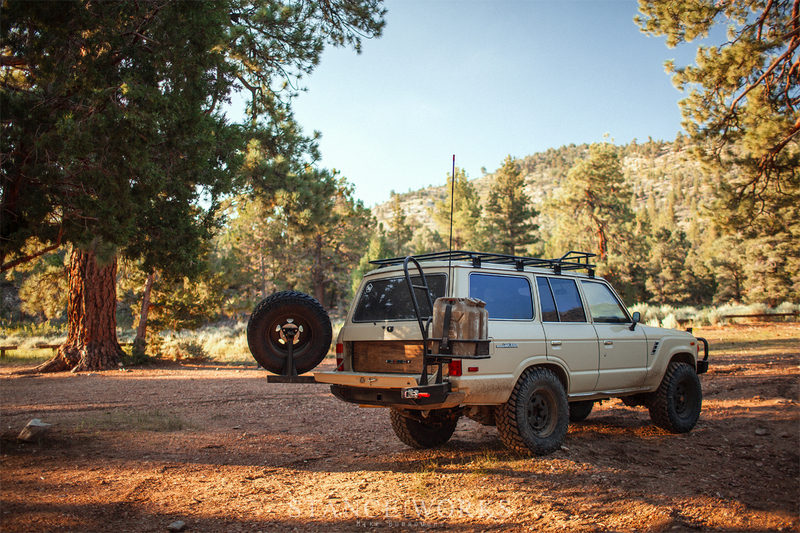 Camping season is upon us, and I hope my spare weekend are spent on the trial as winter approaches. 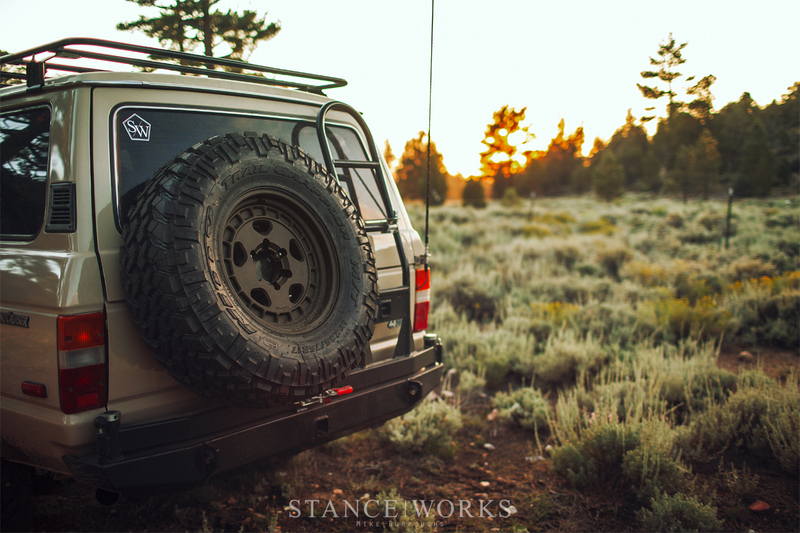 So stay tuned, because there's bound to be more SWOffRoad content coming soon. This article is fantastic! looks like yall had a good time, your stories and documentation are always fun to read. 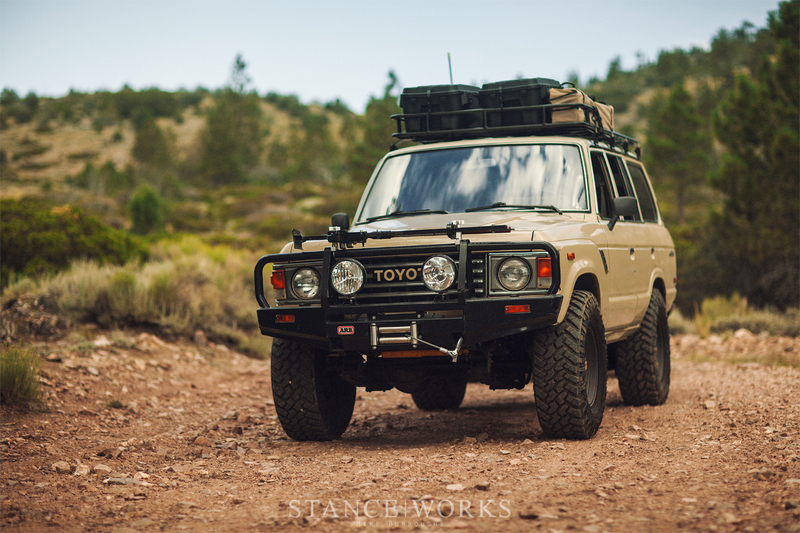 Damn Im glad I already own a Land Cruiser otherwise I would have instantly went out and bought one after reading this. 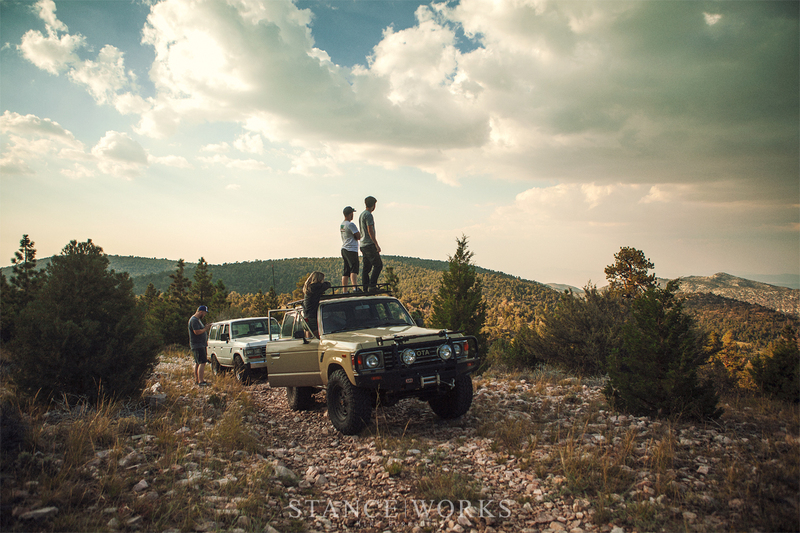 Love this articles great photography! so so good, enjoy these more than your normal articles ..Photos are epic.